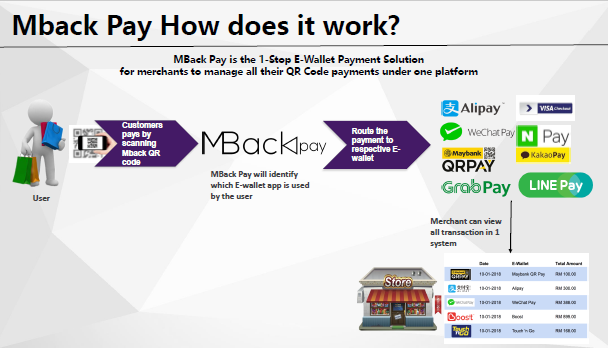 MBack Pay is a one stop e-wallet payment solution for merchants to manage all their QR code payments under one platform. The e-wallet industry in Malaysia is booming with over 30 e-wallet players in the market. With the vast amount of e-wallets present in Malaysia, the problem we now face is which do we use? The first thing that people look for in an e-wallet is how widely accepted it is among merchants as if it’s not accepted in most places, there’s no point in using it. Secondly, what benefits and rewards do users get if they use the e-wallet? They had to switch it up in Malaysia as they realised the culture is totally different from China, thus they had to localise the concept in order to fit in with the Malaysian business’s culture. “On top of that, Malaysia has over 30 different e-wallet players in the market, hence we improved our idea by aggregating all the e-wallets into one platform and provided it to merchants,” Wilson said. With this platform, users don’t need to worry about which e-wallet they are using as any e-wallet will be accepted by merchants. On the other hand, merchants don’t need to worry about it too as they can accept all e-wallet payment methods. Thus, its a win-win situation for both consumer and merchants. 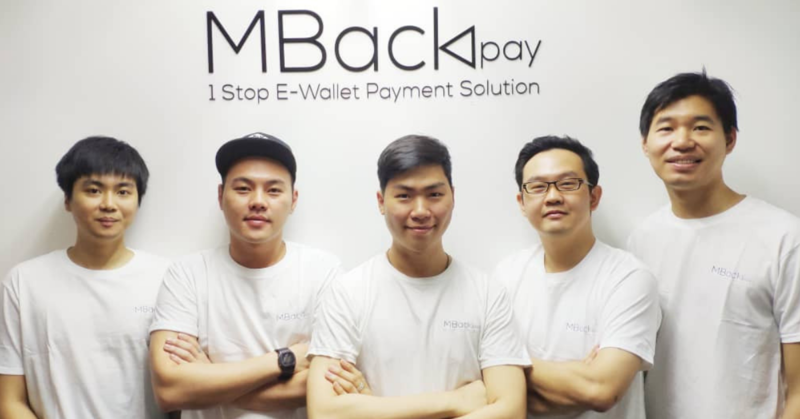 MBack Pay is run by Wilson Low, who is 27 this year and is in charge of leading merchant on-boarding, supervising and optimising merchant performance. He is supported by Victor Khoo, 34, and has nine years of experience in developing apps and back end systems. MBack Pay works by aggregating all e-wallets into one platform but it will be on the merchant’s side. It begins with a customer paying through an e-wallet, but rather than the merchant having many e-wallet QR codes set up on the counter, there will only be MBack Pay’s QR Code and the customer just needs to scan it to pay. The MBack Pay system will identify which e-wallet app is used by the user and will then route the payment to the respective e-wallet. After that merchants can view all the transactions in one system and all of this will be done through a smartphone, thus there is no need for a terminal. Their unique selling point is that merchants who register with MBack Pay are not charged any setup fee and deposit fee. They only will be charged a certain percentage for each transaction as commission. One thing that many e-wallet adopters face when they want to use e-wallets is that the cashier doesn’t know how to use it even if the merchant accepts a certain e-wallet. 10 minutes will be spent just figuring out how to use it and sometimes they even have to call the manager for assistance, which can be quite troublesome. This defeats the point of using e-wallets, which are meant to be more convenient than using cash or even cards. Wilson and his team overcome this by explaining how their platform works with e-wallets step-by-step to merchants, by giving them an example that e-wallets work like an ATM card but in a smartphone. When customers purchase a product or service, they can use their smartphones to make payments instead of an ATM card or cash. The oversupply of e-wallets in the market doesn’t only affects consumers and merchants; e-wallet companies are also facing a problem. Even if e-wallets are actively trying to bring more merchants on board, not all merchants will want to partner with them because the merchants are already accepting too many other e-wallets. MBack Pay wants solve this problem for both. “One of our competitors provides merchants with a terminal device to make the transaction. However, our concept is completely done through mobile app payment without requiring any terminal devices,” said Wilson. Other than charging commission, MBack Pay monetises by offering added services such as a mobile app for merchants to print receipts for customers. MBack Pay has also achieved a few accolades for their startup. 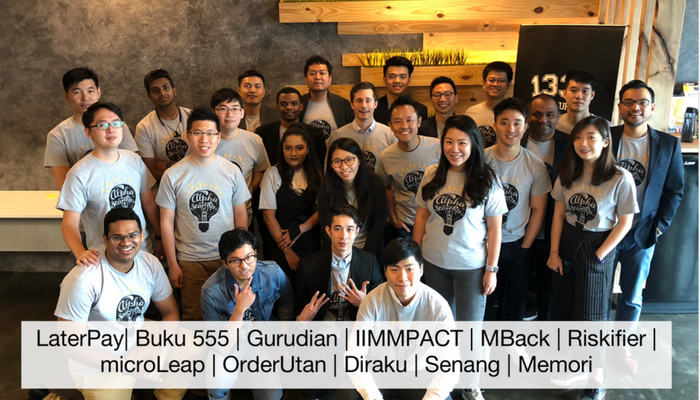 “One of the accomplishments so far is that we are proudly part of the 1337 Venture programme and was selected as the top 11 in the Alpha Startups: Fintech Edition 2018. We were also selected as the top 30 (Foreign Competition) – Dark Horse Venture 2017 in Beijing,” said Wilson. For now there were 20,000 transactions during August and around 60 merchants on board. However, MBack Pay will be looking to achieve 100,000 transactions and 300 merchants by the end of the year. If you would like to know more about MBack Pay, you can check out their website here.